While there are still a few minutes left in this feast, let me share with you the perfect music for the day, David Lang’s The Little Match Girl Passion. It is a staggeringly beautiful and tragic piece of music based upon the Hans Christian Andersen fairy tale, The Little Match Girl. It also won its composer the Pulitzer Prize in 2008 and a Grammy in 2010. I encourage you to listen to it in a meditative spirit – slowly, carefully, with the whole soul attentive. You will be richly rewarded. And who never would be missed—who never would be missed! Theologians from the Argentine who study how to kiss. They’d none of ’em be missed—they’d none of ’em be missed! And they’ll none of ’em be missed—they’ll none of ’em be missed. There’s the Jesuit on Twitter who does not believe in hell. Since God he does resist—I’ve got him on my list! Then there’s the German Cardinals who pray to Martin L.
They’re just “ecumenist”—they never would be missed! I don’t think they’d be missed—I’m sure they’ll not be missed! And I don’t think they’ll be missed—I’m sure they’ll not be missed! Would that they might desist—I’ve got them on the list! 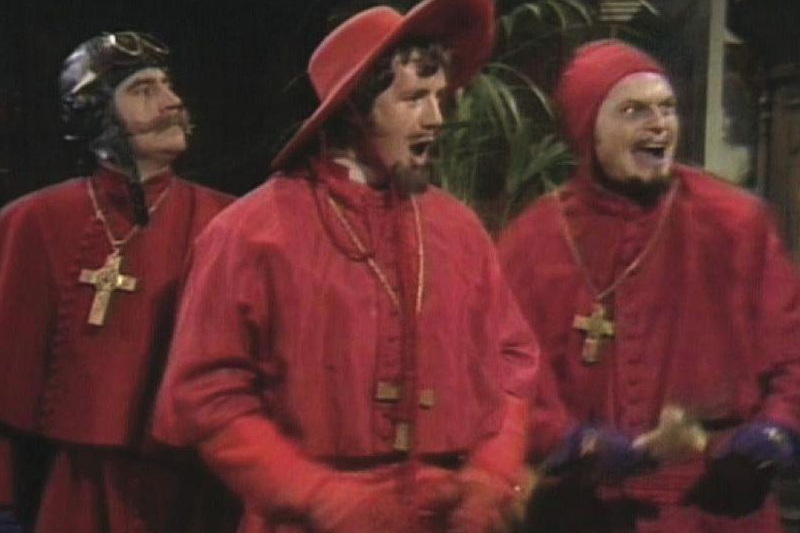 The Neo-Caths at Crisis in a moral panic state. And a Two-Tiered Thomist—you know he’s on the list! And all the heretics who can be judged quite Modernist. They’ll none of ’em be missed—they would none of ’em be missed! And they’ll none of ’em be missed—they’ll none of ’em be missed! Today is Remembrance Sunday here in the U.K. We had a splendid Solemn High Requiem Mass at the Oxford Oratory, complete with black vestments. 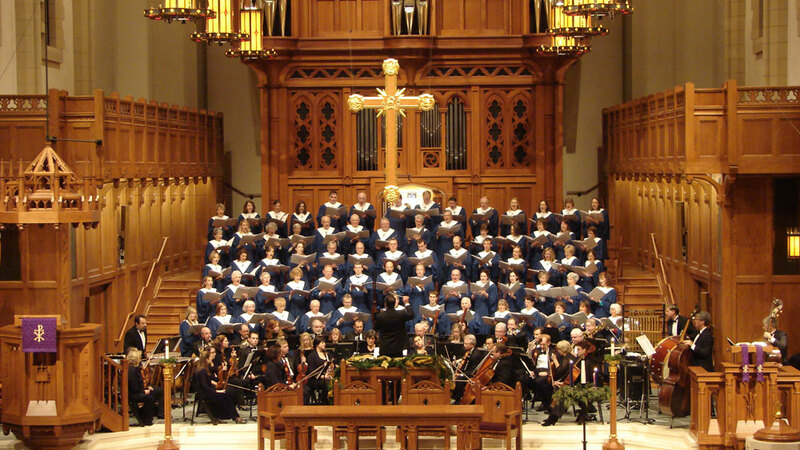 The setting was a Requiem by Haydn, which seem to draw us on the journey of a holy soul. From an Introit that sounds like the mournful ghosts of the dead, we proceed to a communion that is full of airy light and calm joy – with a great deal of drama in between. I realized that I had not posted anything for All Souls’ Day. Since today is yet another day set aside, at least by British Catholics, for praying on behalf of the dead, I decided I’d post something by that spiritual master, Father Frederick William Faber of the London Oratory. In his own life, Fr. Faber was known for his great devotion to the Holy Souls. One of his more famous texts deals with prayer for those in Purgatory. I have selected the following passage from that work, Fr. Faber’s Purgatory. You can also find it on this website. I offer it here for your consideration and in the hope that the good priest’s words might kindle in us a fonder and more steadfast devotion to the Faithful Departed. Both views [of Purgatory within Catholicism] agree again in holding that what we in the world call very trivial faults are most severely visited in purgatory. St. Peter Damian gives us many instances of this, and others are collected and quoted by Bellarmine. Slight feelings of self-complacency, trifling inattentions in the recital of the Divine Office, and the like, occur frequently among them. Sister Francesca mentions the case of a girl of fourteen in purgatory, because she was not quite conformed to the will of God in dying so young: and one soul said to her: Ah men little think in the world how dearly they are going to pay here for faults they hardly note there. She even saw souls that were immensely punished only for having been scrupulous in this life; either, I suppose, because there is mostly self-will in scruples, or because they did not lay them down when obedience commanded. Wrong notions about small faults may thus lead us to neglect the dead, or leave off our prayers too soon, as well as lose a lesson for ourselves. Then, again, both views agree as to the helplessness of the Holy Souls. They lie like the paralytic at the pool. It would seem as if even the coming of the angel were not an effectual blessing to them, unless there be some one of us to help them Some have even thought they cannot pray. Anyhow, they have no means of making themselves heard by us on whose charity they depend. 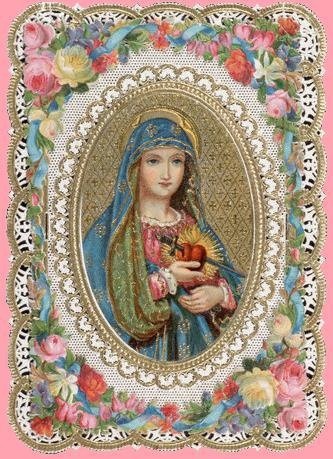 Some writers have said that Our Blessed Lord will not help them without our co-operation; and that Our Blessed Lady cannot help them, except in indirect ways, because she is no longer able to make satisfaction; though I never like to hear anything our dearest mother cannot do; and I regard such statements with suspicion. Whatever may come of these opinions, they at least illustrate the strong way in which theologians apprehend the helplessness of the Holy Souls. Then another feature in their helplessness is the forgetfulness of the living, or the cruel flattery of relations who will always have it that those near or dear to them die the deaths of Saints. They would surely have a scruple, if they knew of how many Masses and prayers they rob the souls, by the selfish exaggeration of their goodness. I call it selfish, for it is nothing more than a miserable device to console themselves in their sorrow. The very state of the Holy Souls is one of the most unbounded helplessness. They cannot do penance; they cannot merit; they cannot satisfy; they cannot gain indulgences; they have no Sacraments; they are not under the jurisdiction of God’s Vicar, overflowing with the plentitude of means of grace and manifold benedictions. They are a portion of the Church without either priesthood or altar at their own command. Those are the points common to both views of purgatory; and how manifold are the lessons we learn from them, on our own behalf as well as on behalf of the Holy Souls. For ourselves, what light does all this throw on slovenliness, lukewarmness, and love of ease? What does it make us think of performing our devotions out of a mere spirit of formality, or a trick of habit? What diligence in our examens, confessions, Communions, and prayers! It seems as if the grace of all graces for which we should ever be importuning our dear Lord, would be to hate sin with something of the hatred wherewith He hated it in the garden of Gethsemane. Oh, is not the purity of God something awful, unspeakable, adorable? He, who is Himself a simple act, has gone on acting, multiplying acts since creation, yet he has incurred no stain! He is ever mingling with a most unutterable condescension with what is beneath Him-yet no stain! He loves His creatures with a love immeasurably more intense than the wildest passion of earth- yet no stain! He is omnipotent, yet it is beyond the limits of His power to receive a stain. He is so pure that the very vision of Him causes eternal purity and blessedness. Mary’s purity is but a fair thin shadow of it, and yet we, even we, are to dwell in His arms for ever, we are to dwell amid the everlasting burnings of that uncreated purity! Yet, let us look at our lives; let us trace our hearts faithfully through but one day, and see of what mixed intentions, human respects, self-love, and pusillanimous temper our actions, nay, even our devotions, are made up of; and does not purgatory, heated seven-fold and endured to the day of doom, seem but a gentle novitiate for the Vision of the All-holy? But some persons turn in anger from the thought of purgatory, as if it were not to be endured, that after trying all our lives long to serve God, we should accomplish the tremendous feat of a good death, only to pass from the agonies of the death-bed into fire, long, keen, searching, triumphant, incomparable fire. Alas! my dear friends, your anger will not help you nor alter facts. But have you thought sufficiently about God? Have you tried to realise His holiness and purity in assiduous meditation? Is there a real divorce between you and the world which youknow is God’s enemy? Do you take God’s side? Are you devoted to His interests? Do you long for His glory? Have you put sin alongside of our dear Saviours’ Passion, and measured the one by the other? Surely, if you had, purgatory would but seem to you the last, unexpected, and inexpressibly tender invention of an obstinate love, which was mercifully determined to save you in spite of yourself. It would be a perpetual wonder to you, a joyous wonder, fresh every morning, a wonder that would be meat and drink to your soul, that you, being what you know yourself to be, what God knows you to be, should be saved eternally. Remember what the suffering soul said so simply, yet with such force, to Sister Francesca: ‘ Ah! those on that side of the grave little reckonhow dearly they will pay on this side for the lives they live! To be angry because you are told you will go to purgatory! Silly, silly people Most likely it is a great false flattery, and that you will never be good enough to go there at all. Why, positively, you do not recognise your own good fortune, when you are told of it. And none but the humble go there. I remember Maria Crocifissa was told that although many of the Saints while on earth loved God more than some do even in heaven, yet that the greatest Saint on earth was not so humble as are the souls in purgatory. I do not think I ever read anything in the lives of the Saints which struck me so much as that. You see it is not well to be angry; for those only are lucky enough to get into purgatory who sincerely believe themselves to be worthy of hell. But we not only learn lessons for our own good, but for the good of the Holy Souls. We see that our charitable attention towards them must be far more vigorous and persevering than they have been; for men go to purgatory for very little matters, and remain there an unexpectedly long time. But their most touching appeal to us lies in their helplessness; and our dear Lord, with His usual loving arrangement, has made the extent of our power to help them more than commensurate with their ability to help themselves. Some theologians have said that prayer for the Holy Souls is not infallibly answered. I confess their arguments on this head do not convince me; but, conceding the point, how wonderful still is the power which we can exercise in favour of the departed! St. Thomas has at least taught us that prayer for the dead is more readily accepted with God than prayer for the living. We can offer and apply for them all the satisfactions of Our Blessed Lord. We can do vicarious penance for them. We can give to them all the satisfactions of our ordinary actions, and of our sufferings. We can make over to them, by way of suffrage, the indulgences we gain, provided the Church has made them applicable to the dead. 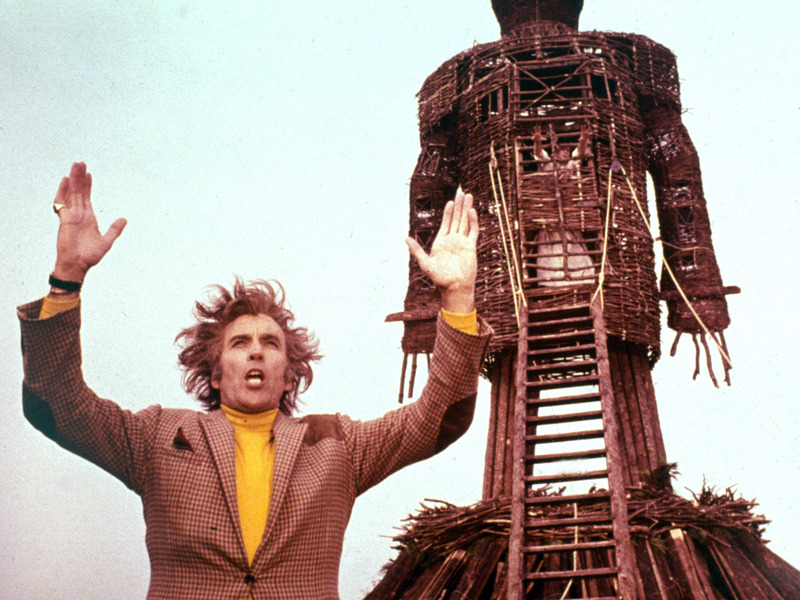 We can limit and direct to them, or any one of them, the intention of the Adorable Sacrifice. 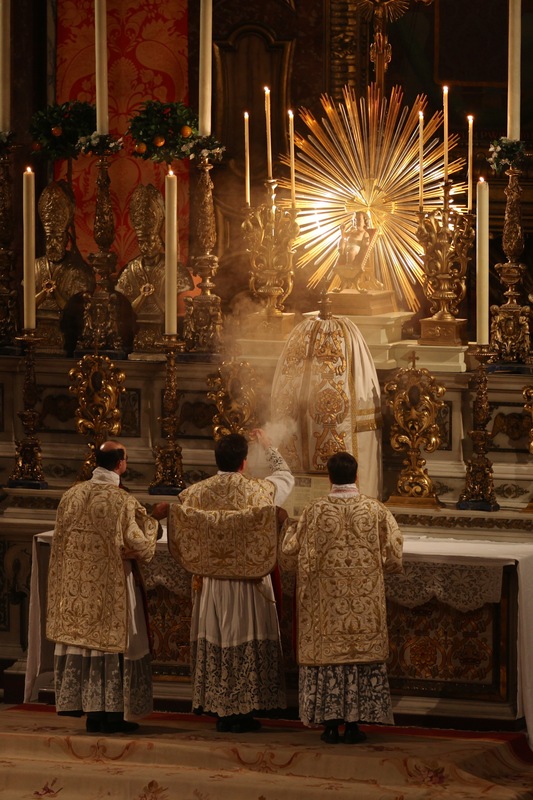 The Church, which has no jurisdiction over them, can yet make indulgences applicable or inapplicable to them by way of suffrage; and by means of liturgy, commemoration, incense, holy water, and the like, can reach efficaciously to them, and most of all by her device of privileged altars. The Communion of Saints furnishes the veins and channels by which all these things reach them in Christ. Heaven itself condescends to act upon them through earth. Their Queen helps them by setting us to work for them, and the Angels and the Saints bestow their gifts through us, whom they persuade to be their almoners; nay, we are often their almoners without knowing that we are so. Our Blessed Lord vouchsafes to look to us, as if He would say: Here are my weapons, work for me! just as a father will let his child do a portion of his work, in spite of the risk he runs in having it spoiled. To possess such powers, and not to use them, would be the height of irreverence towards God, as well as of want of charity to men. There is nothing so irreverent, because nothing so unfilial, as to shrink from God’s gifts simply because of their exhuberance. Men have a feeling of safety in not meddling with the supernatural; but the truth is, we cannot stand aloof on one side and be safe. Naturalism is the unsafe thing. If we do not enter the system, and humbly take our place in it, it will draw us in, only to tear us to pieces when it has done so. The dread of the supernatural is the unsafest of feelings. The jealousy of it is a prophecy of eternal loss. 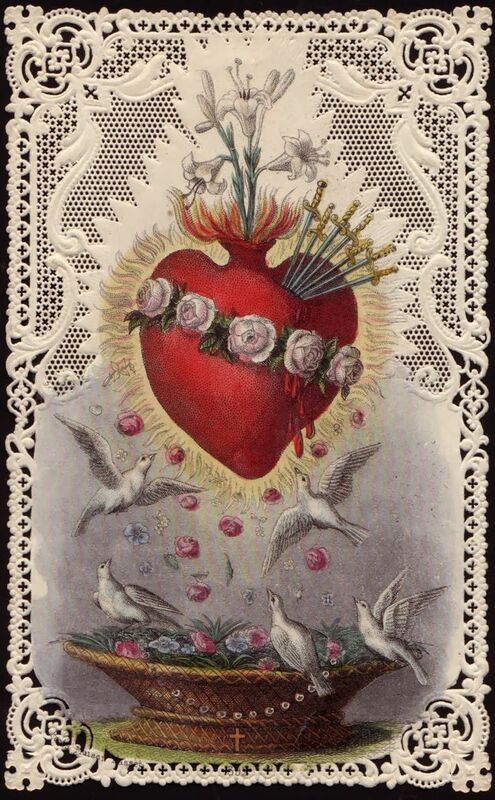 It is not saying too much to call devotion to the Holy Souls a kind of centre in which all Catholic devotions meet, and which satisfies more than any other single devotion our duties in that way; because it is a devotion all of love, and of disinterested love. If we cast an eye over the chief Catholic devotion, we shall see the truth of this. 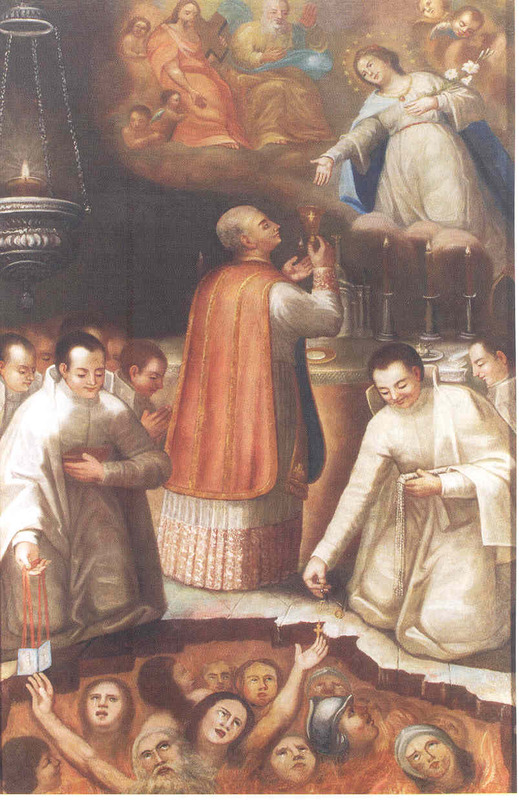 Take the devotion of St. Ignatius to the glory of God. This, if we may dare to use such an expression of Him, was the special and favourite devotion of Jesus. Now, purgatory is simply a field white for the harvest of God’s glory. Not a prayer can be said for the Holy Souls, but God is at once glorified, both by the faith and the charity of the mere prayer. Flannery O’Connor once famously remarked that conservative Catholics had more in common with fundamentalist Protestants than they did with liberal Catholics…hence the many strange prophets and preachers she raises up in her Southern Gothic fiction. While we could probably contest her claim in some ways, she is indisputably right in other respects. Protestants, particularly those of the deep South, have preserved a sense of sin and grace lost in many churches. And their powerful hymnodic tradition has helped foster American music for generations. As an ecumenical gesture à la O’Connor, I thought I’d review a few Protestant songs that contain important and salutary theological insights. In doing so, I want to get beyond the well-known classics like “Amazing Grace,” “Come Thou Fount,” and “The Old Rugged Cross,” and look instead at songs that may not be as familiar among Catholics. I am also excluding Anglican and Wesleyan hymns, since most Catholics (at least, English-speaking ones) will be well aware of them from their parish Masses. One thing that I hope will be clear in this list is how different all of these songs are from the kind of music current in Evangelical (and some Catholic) circles today. Unlike so much Praise and Worship music, it’s impossible to reduce these songs to a subjective, emotivist, “Jesus is my boyfriend” spirituality. I don’t mean to suggest that they keep clear of deeply personal, even existential, questions of faith and morals. They live and breathe in a world where those issues are deeply present. But even among the loopier ones (see numbers 4 and 7 below), we are dealing with a faith that lies in objective, concrete beliefs. Consequently, the lyrical form those beliefs take is highly articulate. Protestant music has suffered immeasurably by the loss of the King James Bible as the translation of choice throughout American Christendom. Many of these songs, all of which come from a period of attachment to King James, more or less reflect that hieratic idiom. Were you ever in the valley where the way is dark and dim? Did you ever drink the cup of loneliness with him? Did you ever have them laugh at you and say it was a fake? Did they ever mock at you and laugh in ways quite grim? Did you ever try to preach, then hold fast and pray? The cover art for Ben Babbitt’s album, Kentucky Route Zero – Act III. (Source). A Bluegrass favorite. I first encountered it in a magnificent video-game, Kentucky Route Zero. As a side-note, let me strongly recommend that game to anyone who likes David Lynch, Flannery O’Connor, Gabriel Garcia Marquez, film noir, science fiction, or bourbon. The artfully written story about several strange characters moves through hauntingly beautiful minimalist landscapes. It is, in short, a work of art. If you have the time, play it. More to the point, the music is excellent. The deep and delicate cover of “This World is Not My Home” by Ben Babbitt in Act IV of KR0 is my personal favorite rendition of the song, though I also appreciate the old version the creators used in their original Kickstarter trailer. 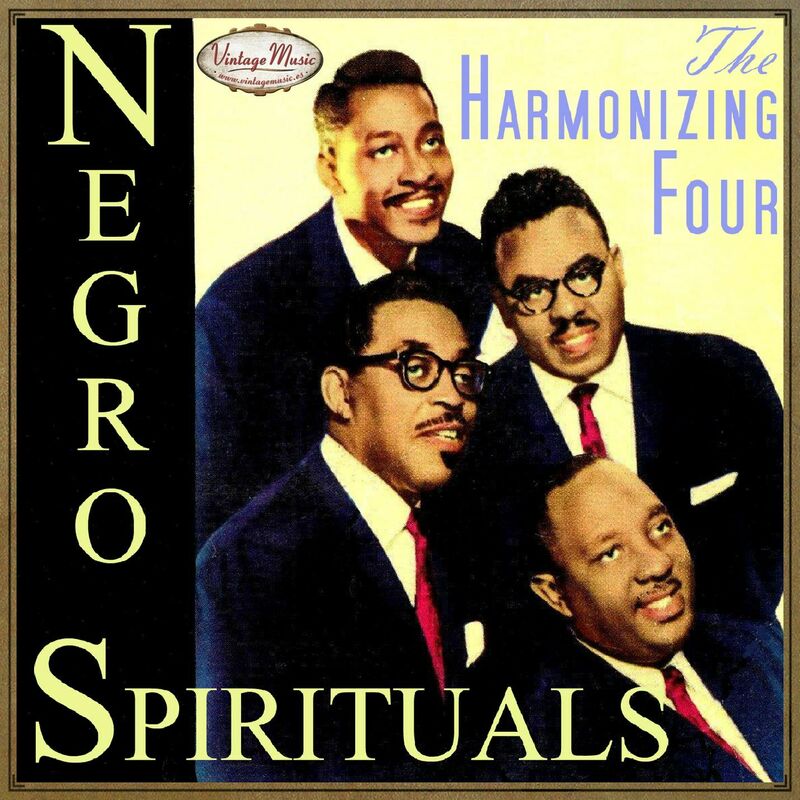 And the Carter Family produced a classic cover. My treasures and my hopes are placed beyond the blue. Here in miniature is the homo viator, a spirituality that calls us to renunciation and subsequent embrace of “the one thing necessary.” The 47th Instrument of Good Works according to St. Benedict is “To keep death daily before one’s eyes.” The song’s narrator is a man who does precisely that. As in “The Cup of Loneliness,” we encounter a basically sound ascetic theology, only this time coming from the very depths of Appalachia. And I don’t expect to stop until I shake her hand. There are two ways to read this verse. Given its Protestant origin, it almost certainly refers to a literal, biological mother. Anyone who has lost their mother can relate to the feelings the verse expresses. 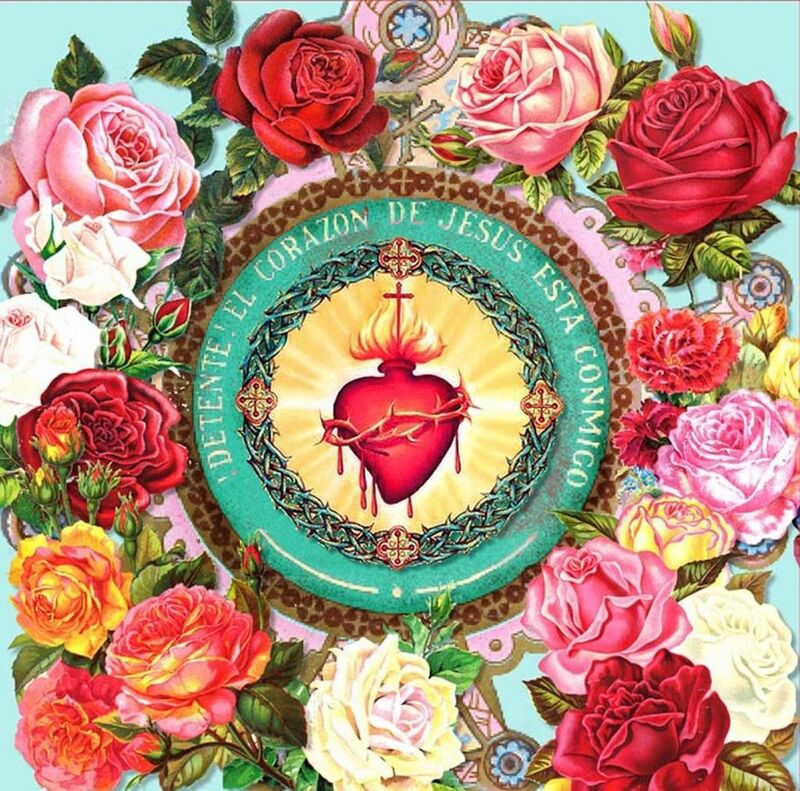 But Catholics know that we all “have a loving mother up in gloryland.” One of the reasons I love this song is that, by drawing upon universal experiences, it can bear a number of equally legitimate spiritual meanings. Texas-based country group, The Whites. They’re famous for performing regularly at the Grand Ole Opry, often alongside their frequent collaborator (and family member), bluegrass artist Ricky Skaggs (Source). I know that this cheery song is considerably older than its famous rendition by The Whites, as heard in O Brother Where Art Thou? (2000). 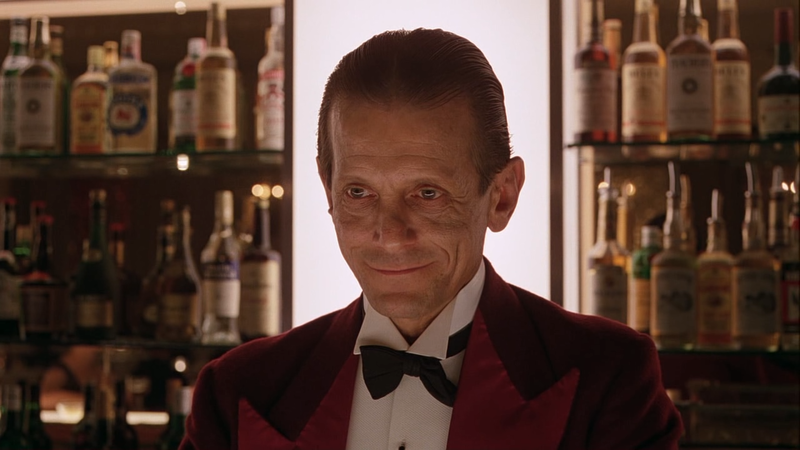 But I enjoy that version more than any other, and I recommend it to you. A hope that does not take the possibility of despair seriously will falter. But a supernatural hope that stares despair in the eye and does not blink – that’s what the Holy Spirit seeks to create in us over the course of a lifetime. “Keep on the Sunny Side” is preeminently about that stronger sort of hope, a trust in God’s Providence founded on the singular sacrifice of Calvary. I unironically like this one by the Louvin Brothers, even with (or because of?) its dated, somewhat campy ethos. I mean, just look at that cover art. And while the long monologue that makes up the bulk of the song is *just a little much,* it’s a good snapshot of what a certain kind of American Christianity looked and sounded like in 1960. The refrain is where the song’s theological merit can be seen – or, rather heard. 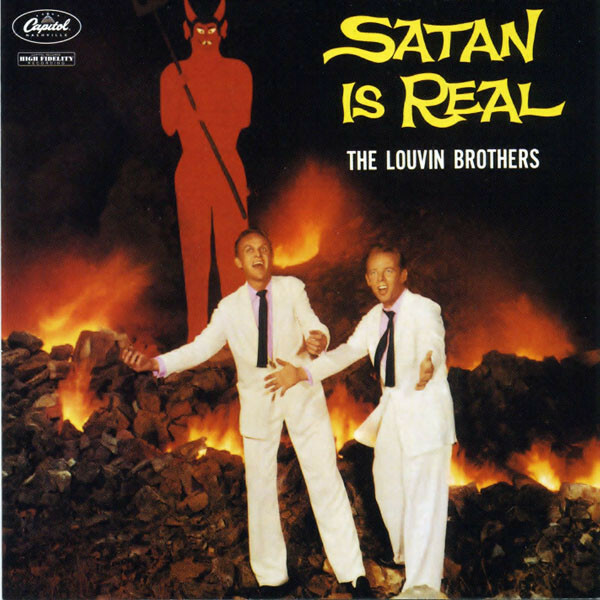 From the perspective of Catholic demonology, the Louvin Brothers are not wrong. St. Anthony the Great would certainly agree with their diagnosis. Admittedly, they may have had a little bit of an unhealthy obsession with the question of demonic influence (the album includes another Satanic-themed song, and on another album they dramatize a dialogue between “Satan and the Saint“). Fair enough. Nevertheless, given that so much of our own hymnody is so obsessed with a false, flimsy, feel-good image of Christ and the demands of the spiritual life, something as overtly anti-demonic as “Satan is Real” strikes me as a good, if somewhat ridiculous, corrective. I mentioned at the start of this essay that Protestant music has had an enormous influence on the development of American music as such. Two particular communities, broadly construed, have made especially important contributions to that tradition: Appalachian churches, and the Black church. I have already drawn out some of the fruits of that former school. I would be remiss if I did not mention the latter. There’s not much else in the lyrics. Simply reading the text won’t give you the full depth of the spiritual message Sister Rosetta is trying to communicate. But once you listen, you’ll understand why I chose it. “Up Above My Head” is one of the best, most affectively sound expressions of hope in Heaven that I know of. Here, the simple lyrics concisely present one of the key doctrines of Christianity – the omniscience of God. The fact that God is all-knowing, however, should not fill us with dread, but with peace and joy. There is a tremendous existential point here. We are never alone. We never face life and the myriad questions of our being as atomized individuals. Rather, we are seen, we are recognized, and we are loved absolutely. We need not surrender to “the shadows” of discouragement and loneliness, as the second verse relates. The hymn tells us quite a lot about the relation between God, His creation, and ourselves. It is a little spiritual masterpiece. Alright, I’m mainly throwing in this one for fun. It has a specious, somewhat rapture-based eschatology. But given current events, its central message may be worth pondering. Strange to think that only a year ago, these lyrics would have been a simple and somewhat overwrought remnant of Cold War anxieties. Wonder of wonders, everything old is new again! The Bonham House, Saluda, SC (Source). It’s been a while since I posted any original wordcraft, so here’s a poem I wrote recently. The last part is a song. I wanted to hearken to the Scotch-Irish traditions of the poor folks who settled the Carolinas. You can hear me sing it on the embedded audio I have included. of the damned and dying. I have planted rows of teeth in my head. the young pine woods can be. just about twice your size. Still plenty of silent life ahead of them. by the rain’s improvident hand. But I could see it pacing the lawn as I ate. I don’t think it ever sleeps. I have not yet seen it blink. It makes not a sound. to our fights, to the whisper of the rain. I don’t want it to get it. Don’t let your children go to the post office alone.